A Safe, Fun Place for Youth – Guided by Caring Adults. 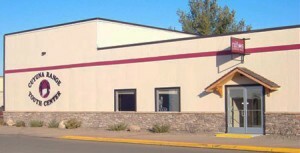 The Cuyuna Range Youth Center is a non-profit organization. It operates solely by fund raisers, donations, contributions and grants from very generous people, all with a goal in mind of providing a safe, fun place for all youth to gather and be guided by caring adults. During the school year, our facility averages serving 35 students each night. The Youth Center is open 11 months of the year (closed August) to all students in grades 7-12. Grades 5-6 are also served the first and third Monday of every month during the school year from 3:00 – 5:00 p.m.
Students are often involved in activities like basketball, volleyball, dodgeball, pool, music, and computer games. Students also participate in over 25 highly successful educational and community driven programs. We offer a wide variety of intergenerational and community service programs designed to bring the community, seniors, and youth together for their mutual enrichment. The Cuyuna Range is home to the cities of Crosby, Ironton, Deerwood, Cuyuna, and other small townships. Youth from the entire area are welcome to “hang out” at the center. Volunteers are always needed and welcome to help in any number of ways. For more information, please call the Cuyuna Range Youth Center at 218-545-6575. Participation is also encouraged by way of monetary gifts, since the center exists only through the kind giving of people like you. If you can help, please use the donation button on our website or mail your gift directly to Cuyuna Range Youth Center, PO Box 263, Crosby, MN 56441. Every dollar that you donate goes directly to helping the kids. Any donations are greatly appreciated.